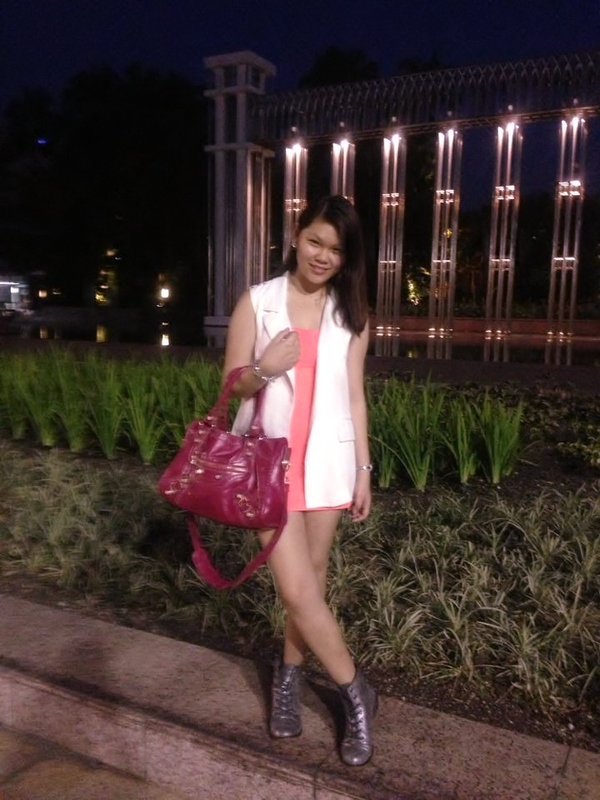 Today was a night out with the dearest, Diyanah. 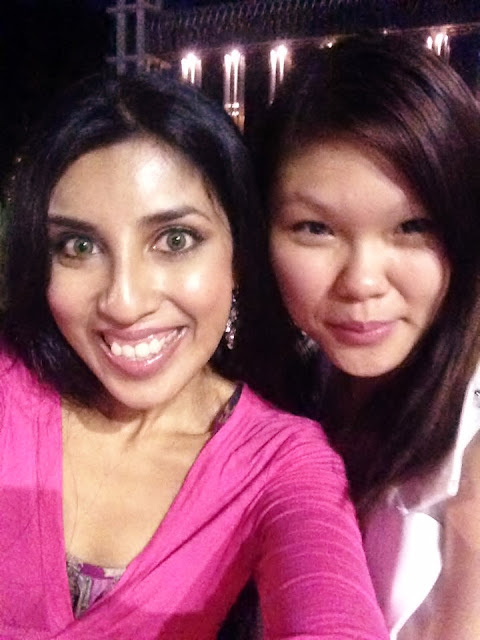 Surprisingly, we were both clad in pink.. Totally unplanned coincidence! 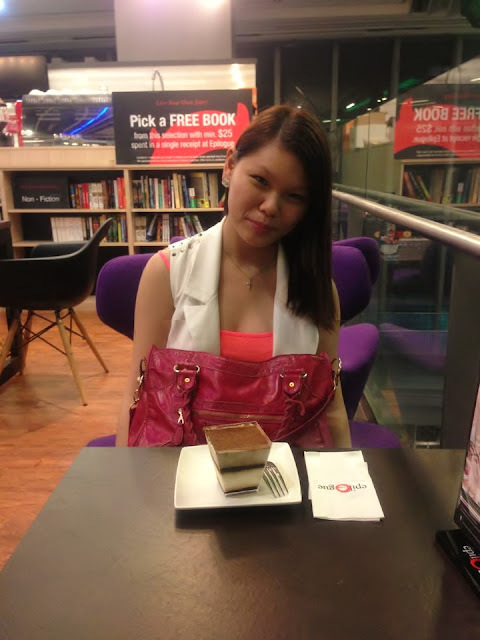 My friend, Diyanah, went all out for a girl-next-door style with her fuschia cardigan and colourful printed dress. She also threw on a brown belt to accentuate her waistline. Ballerina flats and a black handbag from Coach, which went well with her shoes. On a heavier note, we were supposed to catch The Grand Gatsby, but the cinemas were mostly full, with the exception of the front seats. What a disappointment! ): In the end, we've decided to leave that plan for end of the month. 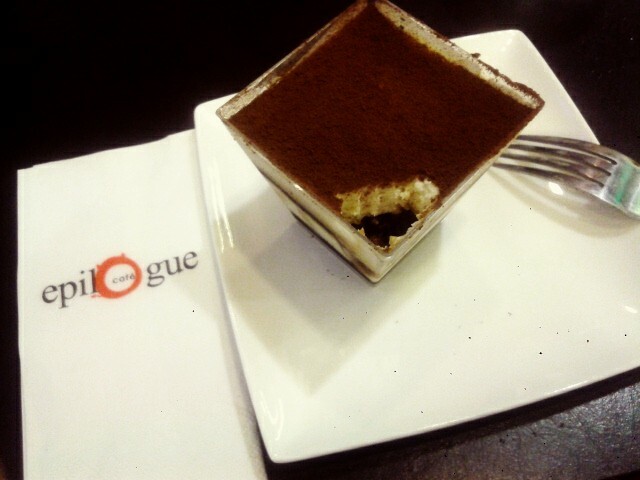 So, we decided to head to Epilogue Cafe for a little treat instead. 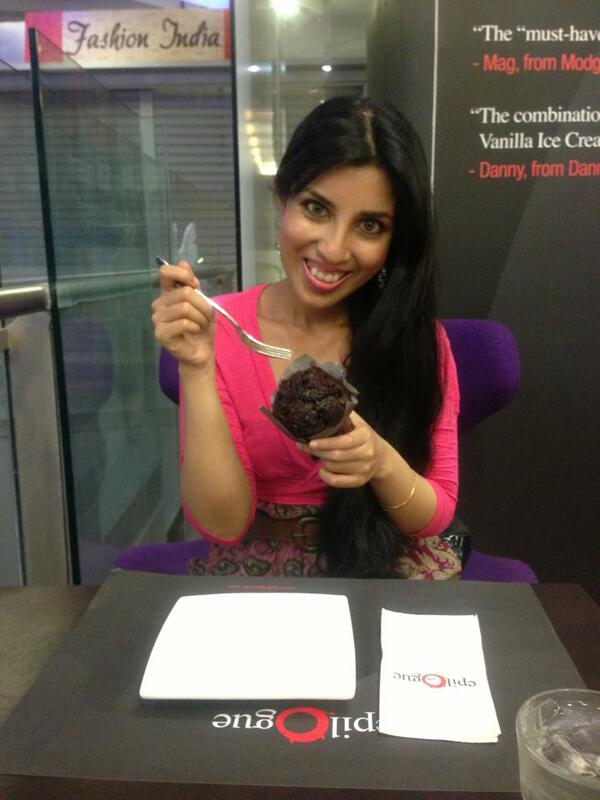 Our initial plan was the chocolate brownie with ice-cream, but the kitchen was closed. I ended up getting the tiramisu, which I really really regretted because it tasted like nothing but liquor to me! It was way too overwhelming! I would have far preferred something more creamy with a little sweetness to it. 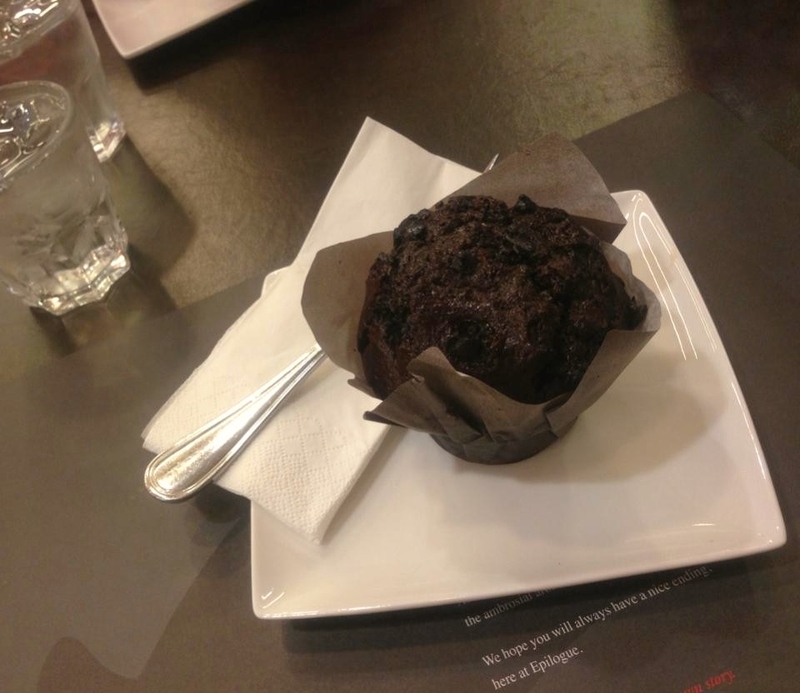 As for Diyanah, she got a chocolate muffin which looked pretty good. At least, I believe it would have been far better than my alcoholic tasting tiramisu.